No charge change the color as you like. 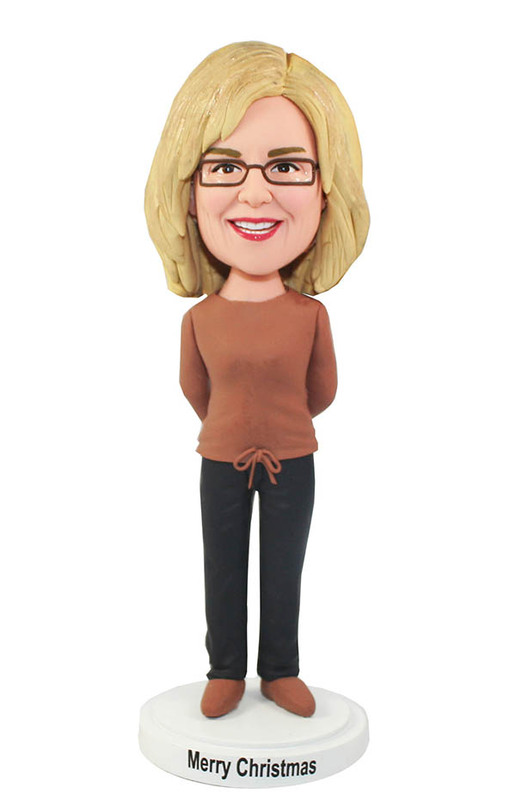 Custom Casual bobblehead Female In Brown And Black With hands placed behind, this personalized female bobble head doll is wearing a brown sweater and black pants. It is a unique gift for a unique one in life. 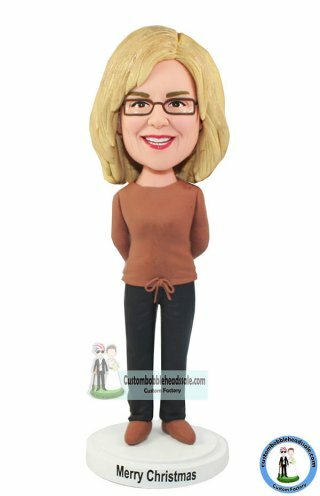 After payment confirmation, our sculptor designers will send previews of your creations to let you comment and modify them until complete satisfaction.